This Stuffed Bell Pepper recipe comes from Cooking Light Magazine, and has only 312 calories and 9.8g of fat…quite “healthy” I might add. 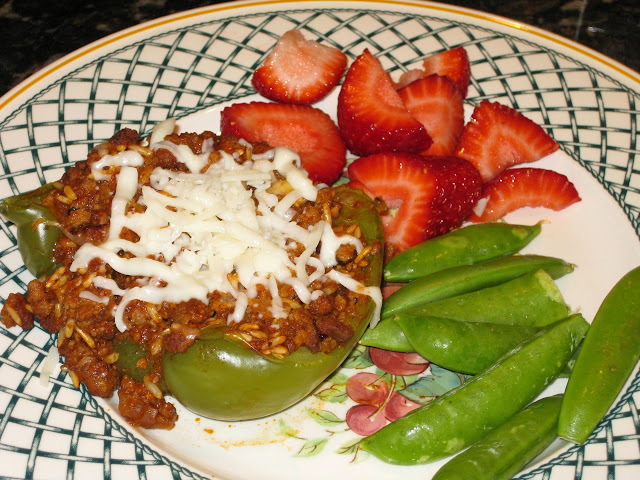 You’ve get a whopping 27g of protein from the ground sirloin, and a good source of Vitamins A and C in the pepper. Part-skim Mozzarella cheese also has positive health benefits. It is a good source of protein, which is important for energy and muscle maintenance. In addition, the calcium in this cheese helps in weight loss and provides protection against breast cancer and metabolic syndrome. 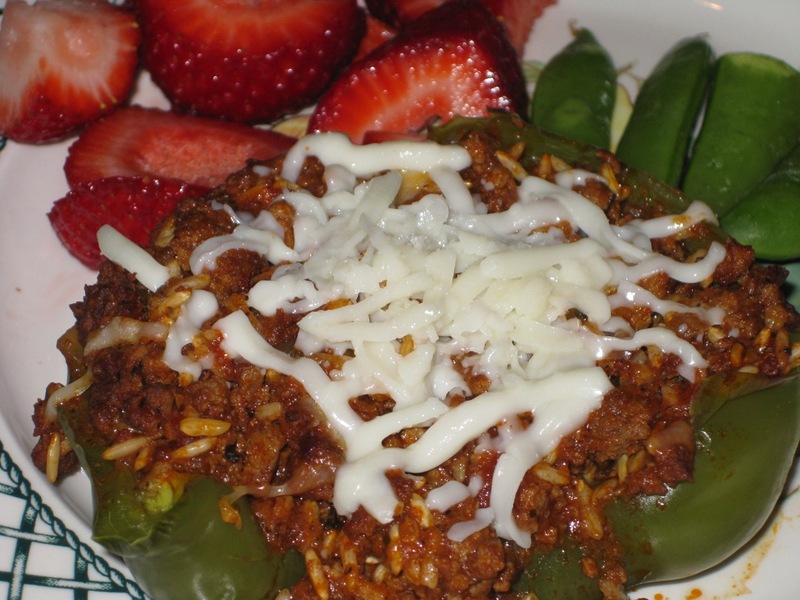 What is not to like about Stuffed Bell Peppers now? The meat is also nicely flavored with Italian seasoning and a cup of tomato-basil pasta sauce of your choice. Feel free to substitute red, yellow, or orange bell peppers for green. Green peppers are less sweet and slightly more bitter than the red, yellow, and orange ones. In addition, red peppers contain 2-3 times as much Vitamin C as the green variety. Maybe that is why they are so much more expensive! Enjoy and let me know what you think! 2. While bell peppers cook, heat a large nonstick skillet over medium high heat. Cook beef and onion until browned, stirring to crumble beef. Drain, if necessary, and return to pan. Stir in Italian seasoning, 1/4 tsp. salt, pepper, rice and pasta sauce. Cook 1 to 2 minutes or until warm, stirring occasionally.